...the recreational market introduction of its most advanced satellite television antenna ever. 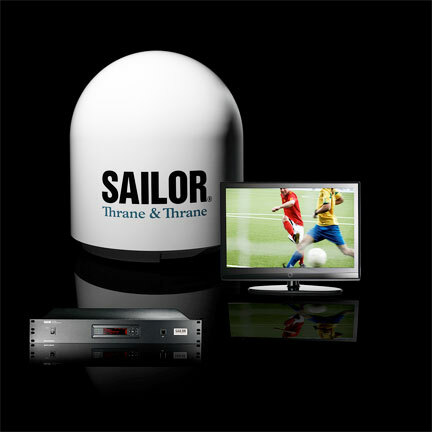 Evolved from market leading antenna systems, the all new SAILOR 100 Satellite TV offers a number of innovations including multi-polarisation and a programmable LNB to ensure high quality worldwide TV reception. The SAILOR 100 Satellite TV is designed, developed, tested and manufactured in-house by Thrane & Thrane’s experienced engineers and is the most advanced, rugged and reliable satellite TV antenna ever built. 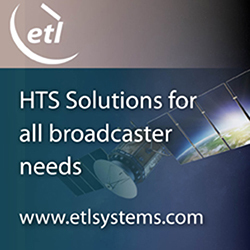 Further innovations include single cable installation, which is a truly unique feature in the maritime satellite TV market, making installations easier and considerably more cost effective. It also features an advanced rotary joint, eliminating the need for cable unwrap when the boat turns. The SAILOR 100 Satellite TV provides television for crew aboard commercial vessels, so is reliable in even the toughest maritime environments. With a 103cm dish and advanced three axis structure, the antenna is the perfect compromise between size and performance, so is also the ideal choice for motorboat or luxury vessel owners seeking a TVRO antenna to provide uninterrupted viewing across regions and even on long international passages where the broadcast satellite will change regularly. The SAILOR 100 Satellite TV comes as standard with a powerful touch screen terminal to handle all setup, service and management, and features an advanced but intuitive Graphical User Interface. Rigorous in-house and at-sea testing ensures that the antenna lives up to the high standards of quality and reliability users have come to expect from all SAILOR equipment. With such high reliability, users on motorboats and luxury vessels can be sure that their viewing enjoyment won’t be ruined through interference or signal loss.